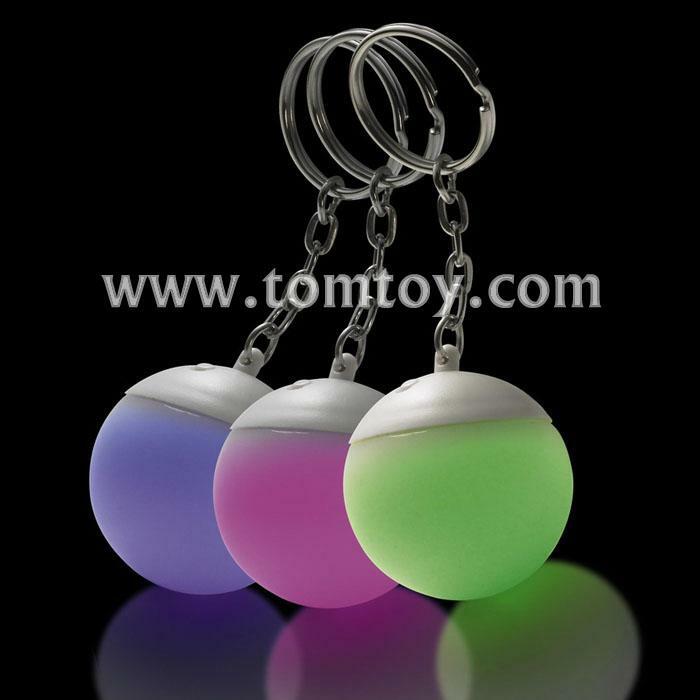 1.Light up key rings,a cool keepsake for fans of fantasy and sorcery. 2.Pushing the button to change the flash mode. 3.7 Flash mode:Automatic quick changing colors,slow fading colors,white steady,red flash,green flash,blue flash,off. 4.It's a perfect gift,you can print your logo on it.